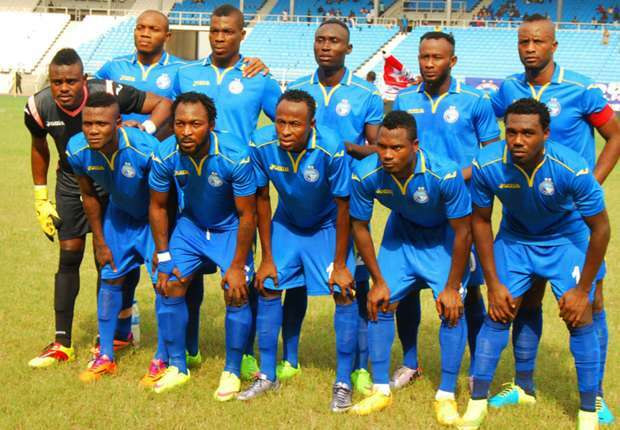 Nigeria champions, Enyimba FC will go all out for their first points of the group stage of this year’s CAF Champions League when they confront Mamelodi Sundowns of South Africa in Pretoria on Wednesday. A lone goal defeat to Zamalek of Egypt on a soggy pitch in Port Harcourt ruined the People’s Elephants’ opener to the campaign, but club boss Felix Anyansi-Agwu is optimistic his wards can secure an away win over ‘The Brazilians’ at the Luis Moripe Stadium on Wednesday evening. The South African champions thought they had picked up three valuable points from a 2-0 victory over Entente Setif of Algeria on Matchday 1 only to see the advantage wiped off following the expulsion of the Algerians from the competition for crowd trouble. “Against Zamalek, we did everything but just could not get the ball into the net. We will go all out against Sundowns and expect to pick three points.” The match begins at 7pm South Africa time (6pm Nigeria time). Coach Pitso Mosimane is unconcerned about the Nigerian side, who arrived in South Africa on Sunday after their scheduled league clash was postponed to give them a chance to bring glory to their country. They have also bolstered their technical team by bringing in former coach Samson Unuanel to work with Paul Aigbogun‚ who was in charge when the team lost to Zamalek – which might indicate a level of unhappiness over the tactics in that game. Mosimane and his boys have written off the disappointment of losing the three points they won against Algerian side ES Setif, who were disqualified over crowd disturbances. Instead, they have taken the positives out of that game – a feeling that they can do well.